The Free Leonard Peltier Caucus is circulating a petition for signatures to be presented to President Obama at the end of his tenure asking for a presidential pardon for the longest held political prisoner in the US, Leonard Peltier. Past attempts for retrial and Presidential Pardon have failed. Accordingly, the Green Party of California has initiated a petition to President Obama to free Mr. Peltier according to the request of his defense team. It is our belief that President Clinton took no action when offered a similar petition because of consideration for his wife's political career. It was rejected by President Bush because of his Republican values and not being able to concede that this country could be in error. Now is the time to try again with a President who lacks these encumbrances. 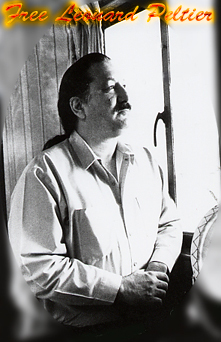 In the past 35 years millions of signatures and letters have been collected to seek freedom for Leonard Peltier to no avail, even though the credibility of his trial is seriously flawed. While his lawyers are currently trying for a compassionate release his defense committee has encouraged the Green Party to proceed with their petition. We believe the time for a Presidential clemency to be granted is at the end of Obama's term. Help free Native American activist Leonard Peltier by signing this petition, and help collect other signatures. P.O Box 485, San Francisco, CA 94104.